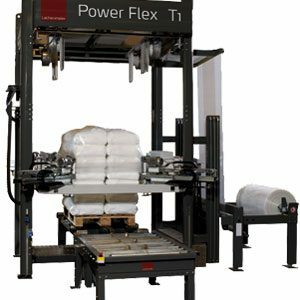 Combi Flex is the flexible heat shrink packaging machine from Lachenmeier. 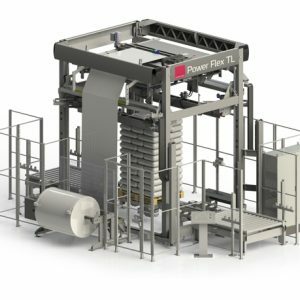 The shrink wrap machine type Combi Flex, where hood application and shrinking take place in one space-saving unit, was introduced to the world market by Lachenmeier back in 1982. 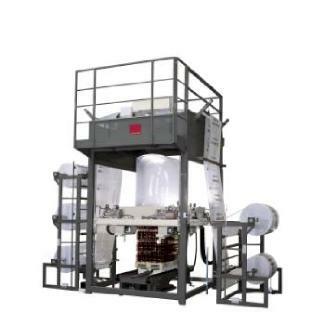 The film hood is fed from the top of the machine, blown up like a balloon and in this way stretched to the largest possible extent, after which it is applied over load. After application, the film hood is shrunk by mains of heat and is effectively secured for transport. 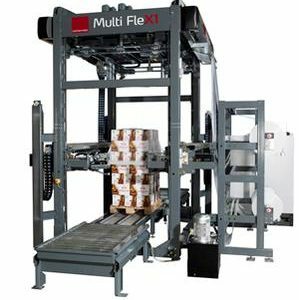 Essential when shrink wrapping loads is the bottom shrinking, where load and pallet are kept tightly together as one unit. 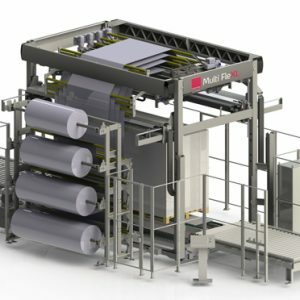 One of the most significant advantages of the Lachenmeier shrink wrapping machine is that all four burners have separate automatic speed controlled motors, ignition systems, supervision systems, etc. In case of variations in product dimensions, the heat distribution can be adjusted automatically to each single product. The longer the distance from the load to the burner, the larger the supply of heat. As a consequence, all four sides of the load are exposed to the same temperature during shrinking.